Professor Jonathan Stamler’s latest findings regarding nitric oxide have the potential to reshape fundamentally the way we think about the respiratory system—and offer new avenues to save lives. It may be time to rewrite the textbooks. Scientific dogma has the respiration process involving only two elements—oxygen and carbon dioxide. Specifically, the delivery of oxygen from lungs to tissues, and the removal of the waste product, carbon dioxide, through exhaling. Recently published online in the journal Proceedings of the National Academy of Sciences (PNAS), Stamler and colleagues demonstrate that nitric oxide is essential for the delivery of oxygen to the cells and tissues that need it. Stamler, a professor of medicine at Case Western Reserve University School of Medicine and cardiologist at University Hospitals Case Medical Center, led a team that showed that nitric oxide must accompany hemoglobin to enable blood vessels to open and then supply oxygen to tissues. Doctors have long known that a major disconnect exists between the amount of oxygen carried in the blood and the amount of oxygen delivered to the tissues. Until now, they had no way to explain the discrepancy. The new findings show that nitric oxide within the red blood cell itself is the gatekeeper to the respiratory cycle—nitric oxide makes the cycle run. Stamler’s previous research had revealed that the respiratory cycle was more than an oxygen and carbon dioxide exchange proposition. Stamler and colleagues also had shown that red blood cells carry and release nitric oxide, but had not yet explained the exact physiologic ramifications of nitric oxide release. In this most recent research, investigators uncovered the key role of nitric oxide in controlling the blood flow in small vessels within tissues responsible for delivering oxygen (known as “blood flow autoregulation”)—a process whose molecular basis had been a longstanding mystery in medicine. Investigators specifically examined the respiratory cycle in mice lacking the one amino acid site that carries nitric oxide in their red blood cells. Low and behold, blood flow autoregulation was eliminated entirely—the animals could not oxygenate tissues. Initially, investigators found low oxygen levels in the animals’ muscles at baseline, despite the animals’ red blood cells carrying a full load of oxygen. When the mice were then stressed to bring on slight oxygen deprivation (hypoxia), the blood flow to their organs dropped precipitously. The lack of oxygen should have prompted a spike in blood flow to send more oxygenated blood to tissues and cells. Instead, the reduced blood flow and ensuing oxygen shortfall triggered heart attacks and heart failure in these nitric oxide-deficient animals. The experiment demonstrated that the nitric oxide-release mechanism regulates oxygen delivery. When nitric oxide flows from the cysteine-binding site in hemoglobin, blood vessels dilate (stretch) and allow oxygen-carrying red blood cells access to tissues. Historically, the control of blood flow has been thought to be the purview of blood vessels and their endothelial linings, while the role of the red blood cell went unappreciated. 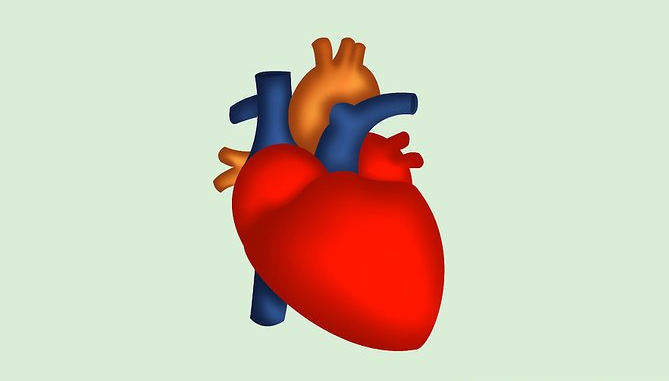 Blood flow deficits that cause heart attacks and strokes were thought not to be linked to red blood cells.